bakerdays is situated on the edge of Sherwood Forest in Nottinghamshire. We safely deliver great celebration and gift cakes all over the UK, next day! The folks at bakerdays are not just great bakers and innovators. We have developed a truly versatile colour and decorating process to create beautiful cakes that actually taste just as if you made them yourself. The business was founded by Andrea Guzyova and greeting card entrepreneur Alan Hawkes, whose passion for cakes (mainly eating them) is only exceeded by a knack of creating the perfect cake design for every occasion. so what is a letterbox cake? It’s a small celebration cake for just one or two people. (5 Inches) It may be small but it’s thoughtful and personalised. It’s postable and yes it actually does fit through a letterbox. It’s just the perfect gift to give or to send. bakerdays have a huge variety of different cakes and they don’t just do cakes, they also do cupcakes and personalised balloons! 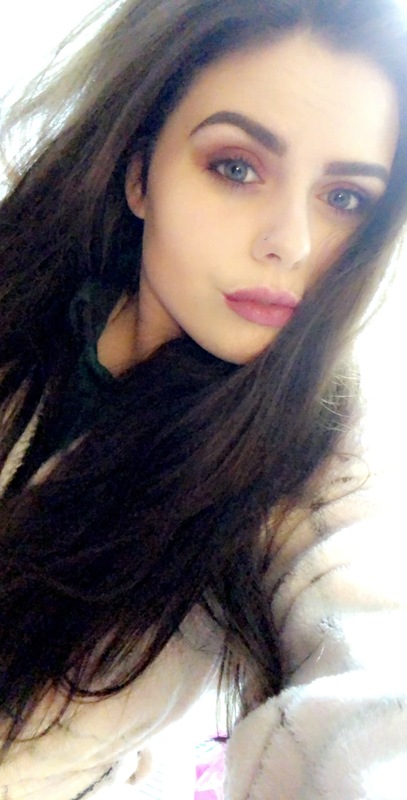 When I first had a look on their website I was so stuck on which cake to choose as there are so many! I looked for hours and hours trying to decide what cake was the best one. I then whittled it down to two, I had criteria as it is my partners birthday coming up I thought why not get a personalised cake for him, rather than just get a cake to share we can get one that is for an occasion. So I picked two Liverpool cakes as he supports Liverpool FC. 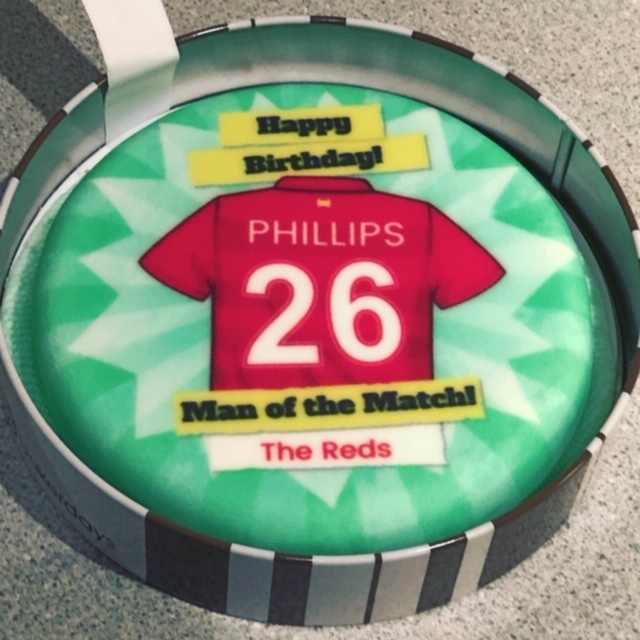 the one I decided to go for is ‘The Reds shirt’ cake, obviously, I had a little bit of help from him as I had no idea they were called ‘the reds’ and wondered why I couldn’t find a Liverpool cake hahaha! Send someone special a personalised cake with their favourite football team with this Red Shirt cake. Simply personalise the name and number on the back of the shirt for a special birthday cake. Once you’ve chosen the cake you then go onto the personalisation stage and there are many options to choose from. The options that you get are as follows; lemon drizzle, rich chocolate chip, traditional sponge, gluten wheat free sponge, dairy free and fabulous fruit. So as you can tell there has been very careful thought and consideration about the options they give us and how they can cater for everyone which I think is fantastic! So for my partner, I chose the ‘rich chocolate chip’ we both love chocolate so why not. 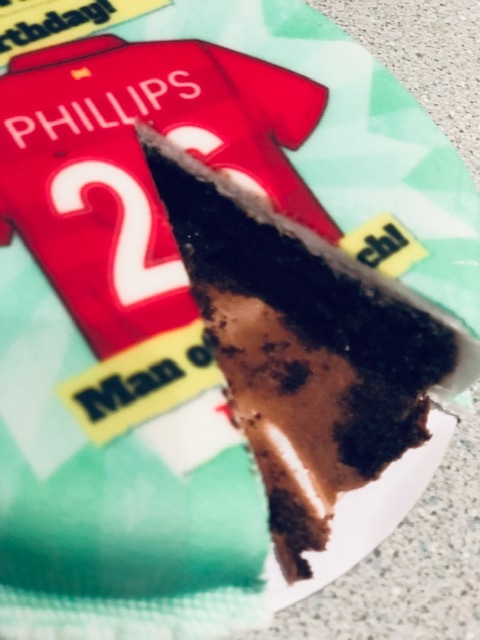 The next part is actually personalising it with writing, with this particular cake the writing is on the back of the shirt so I had his last name printed on the back ‘Phillips’. 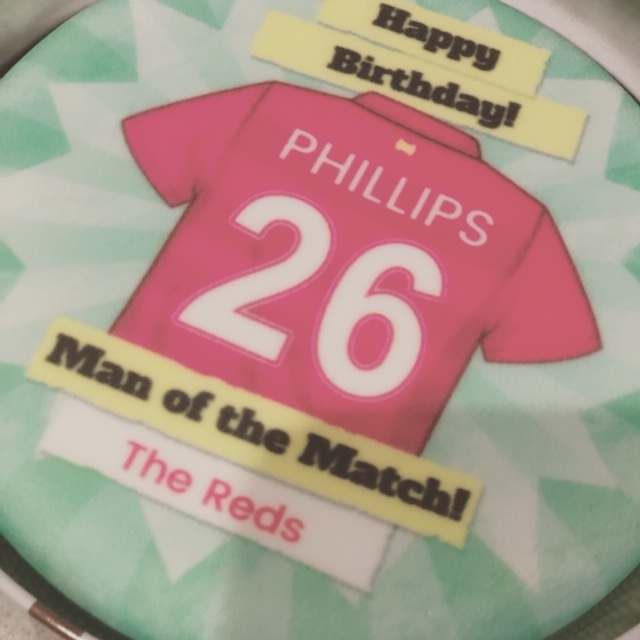 I was worried that the cake wouldn’t be here before his birthday, which wasn’t an issue because it was just an extra something for him but luckily it actually came 2 weeks before his birthday which is absolutely incredible! the delivery and the whole process was all really quick! I was at work when the cake was delivered but obviously, I didn’t need to worry because it fits through the letterbox! 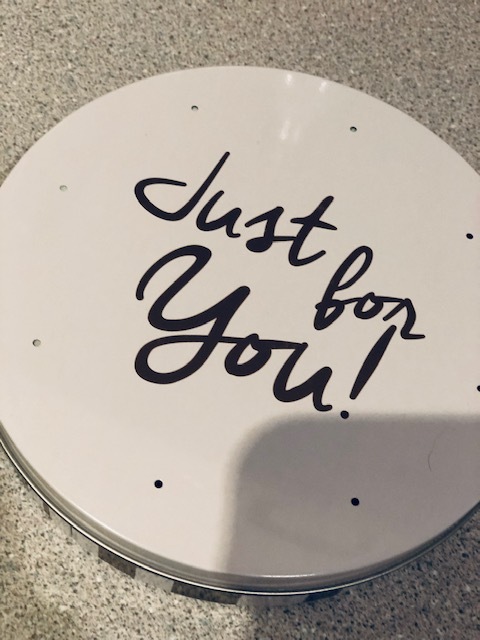 When I opened the package inside was a lovely white tin with brown stripes saying ‘just for you’ which is a lovely tin, I’m not sure if its the standard tin or not but nevertheless it is lovely! 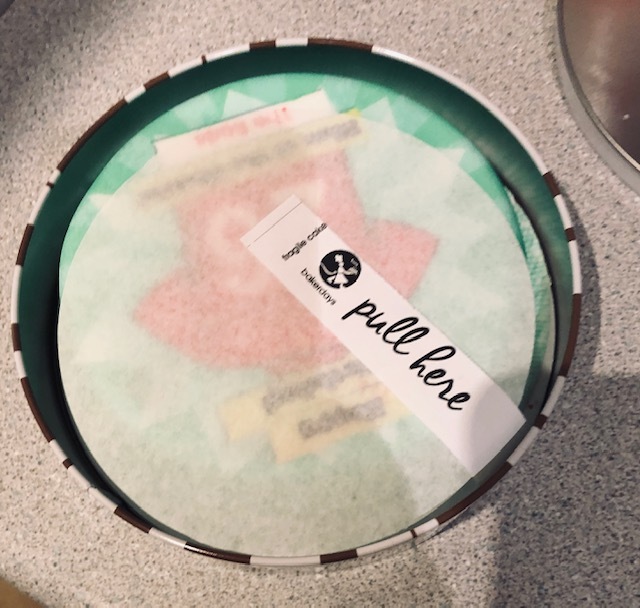 when opening the tin it has a bit of paper on the top to cover the design and has a little ‘pull here’ tab to get the cake out the tin, which is very handy when you’re extremely clumsy like me, the cake probably would have ended up on the floor if it wasn’t for that tab! Once taking the paper off the cake looked absolutely fantastic the details in the graphics genuinely looked amazing. Then it was time to show my partner his cake, so I called him over and said ‘what do you think of this?’, he wasn’t expecting it and he said it was really smart and very well designed. So we decided to cut a little bit to see what it tasted like, obviously being on a diet it lasted us a very long while and they were only tiny pieces, but oh my goodness, the cake tasted absolutely amazing, it was so moist and still was a week later, I’ve never had a cake that keeps its moisture and I end up throwing things away but it just goes dry but it stayed moist for around 2/3 weeks which is incredible. Jamie also said that it was very fluffy and moist and just what he likes in a cake (he hates shop bought cakes so this was definitely worth trying) and he absolutely loved it. We both usually find chocolate cakes to be extremely sickly but there was just something about this cake that didnt feel like that and it just felt light. Overall I’m extremely pleased and from start to finish including the personalisation its been a 10/10. I’m now looking at buying my next cake for my mums birthday and will carry on buying from here over the year for different occasions, absolutely fantastic!